1 If you are looking for a place to relax and to just jet ski out, Fort Lauderdale presents a suitable location. If you are looking for a place to relax and to just jet ski out, Fort Lauderdale presents a suitable location. If you are looking for a place to have fun – partying, excursions, hiking, clubbing and the likes – Fort Lauderdale is a definitely an appropriate choice. Do you want to watch movies, play golf, and attend live soccer games, or even go swimming from a jet ski rental service see here in Fort Lauderdale holds all the fun. Fort Lauderdale is a large cosmopolitan city in Florida, United States of America. Located along the Atlantic coast, the city serves as the administrative seat of the Broward County. The city holds a population of about 165,521 inhabitants according to the results obtained from the 2010 census. As a popular hub for tourism in the state of Florida, the city experiences an average weather temperature of 75.5 °F annually. 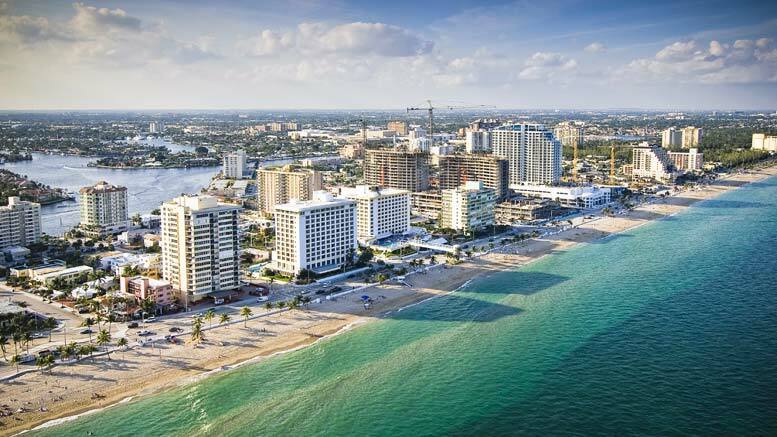 Situated just 23miles off the coast of the Atlantic, Fort Lauderdale is a radiant land that experiences an estimated sunny time-frame of 3,000 hours yearly. It is estimated that about 3 million people visit the Fort every year. Fort Lauderdale is well equipped for tourism with a number of 561 luxury hotels and motels, which is estimated to have about 35,000 rooms. This exciting city got its name from a major who served in the U.S. Army – William Lauderdale. He lived from 1782 to 1838 and was the commander of the military detachment that laid the foundation of the fort. Let us also not forget our Yacht Charter services in Fort Lauderdale either with us! Post Lauderdale’s economy depends solidly on tourism. The city which offers various touristic activities required for leisure now pulls in wealthier tourists from all countries and various walks of life. Leisure activities in the Fort spans from land to sea, which involves daily clubbing activities that occurs simultaneously in 132 nightclubs spread across the city. Nautical activities as well as social entertainment are just some of the city’s major sources of income. The city is renowned for its high level of ship faring. In 2012 alone, it was recorded that a total number of 46 cruise ships took sail from Port Everglades. Finding eateries and munching spots is never a problem in the Fort Lauderdale. The city accounts for an overwhelming number of about 4,000 restaurants that specialize in different exquisite dishes. These restaurants provide admirable delicacies that make their visitors come seeking for more. Sporting activities are not left out in the city, with a total number of 63 golf courses spread across different parts of the city, visiting golfers often feel at home in this part of the world. If you like doing regular shopping, Fort Lauderdale has got what you need. The city has 12 excellent shopping malls, nicely equipped to attend to your every needs. Possessing over 45,000 cruising ships, sea life is filled with fun. The city has 278 parklands, specifically created for relaxation and picnics. Parasailing Snorkeling Locations Contact Us!